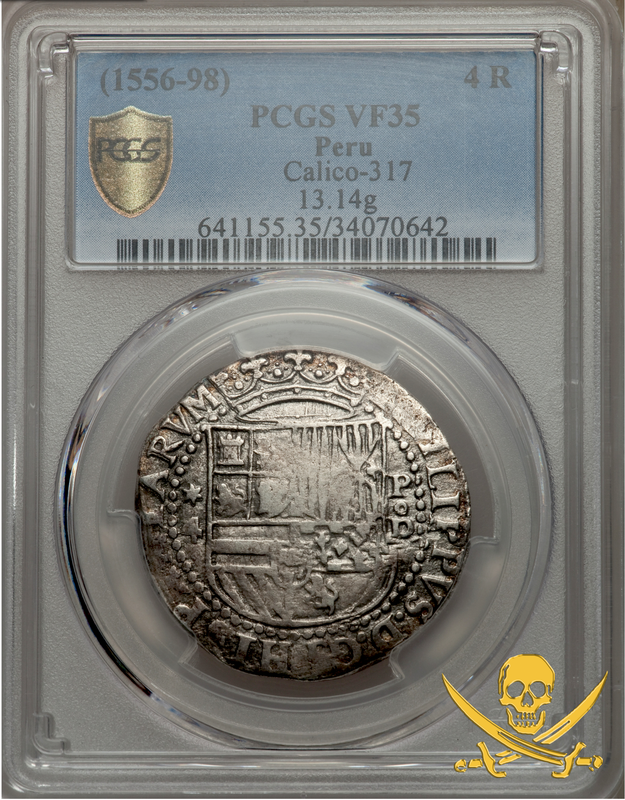 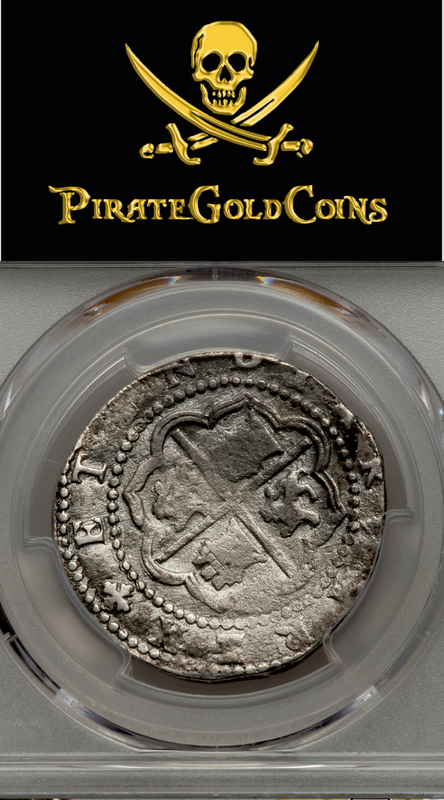 PERU 1556-98 4 REALES PCGS 35 SHIPWRECK TREASURE COB SILVER COIN It’s pretty rare when you have a Silver Cob (even the more common 8 reales) that have this level of details! 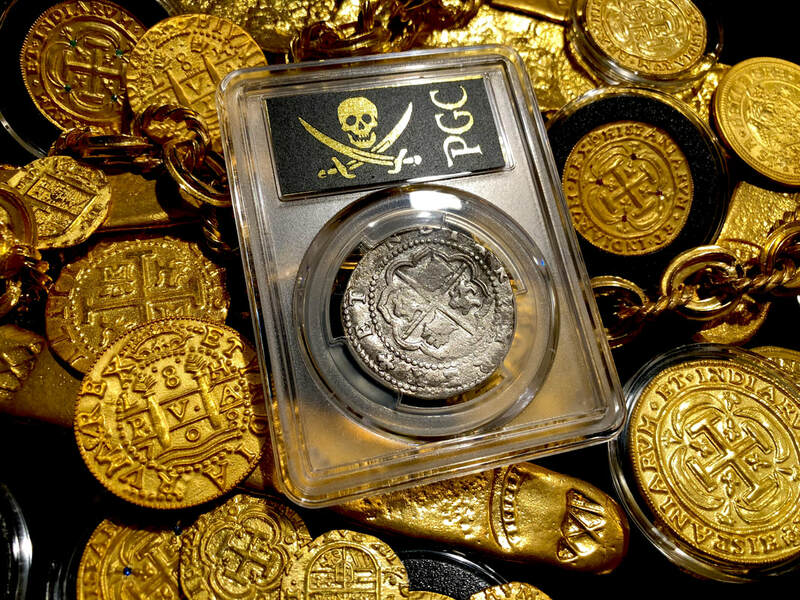 STAR variety above denomination (left of shield) and full mind and Assayer to the right of shield. 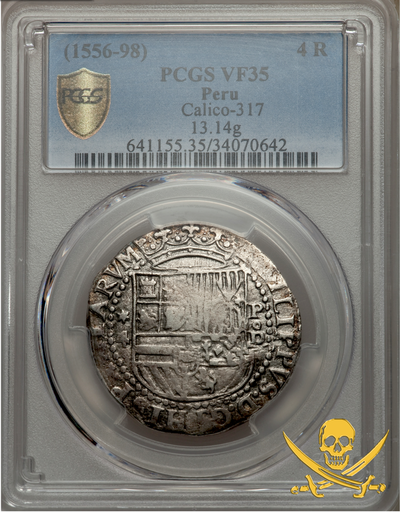 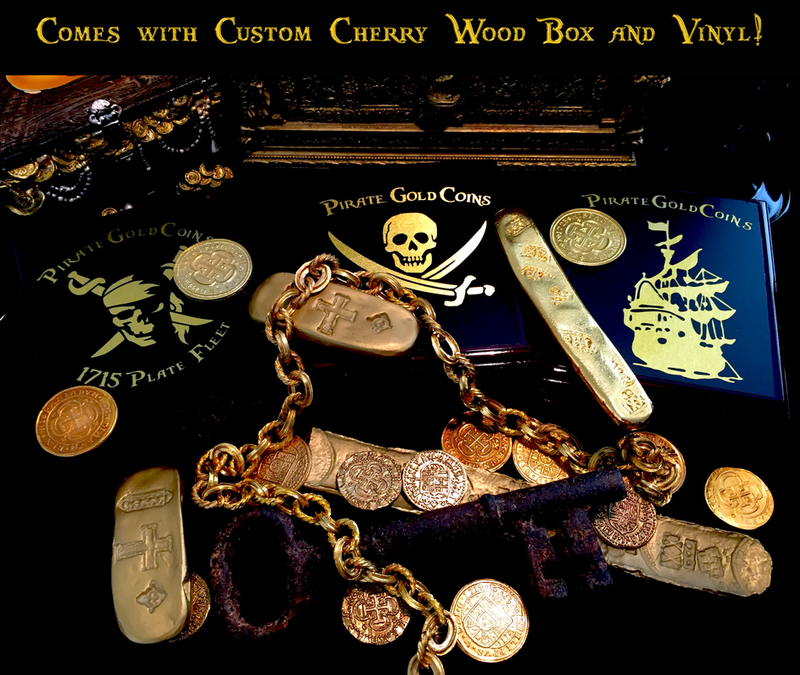 But, what makes this piece so incredible special is the Perfect Centering and Round Planchet! 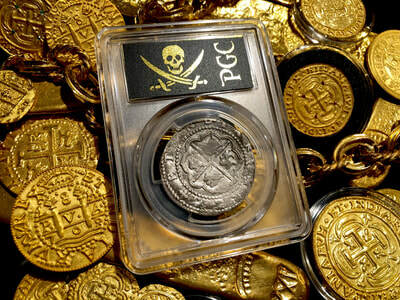 Then add on top of that the FULL CROWN & SHIELD and just about a Complete Legend (PHILIPUS . D.G. 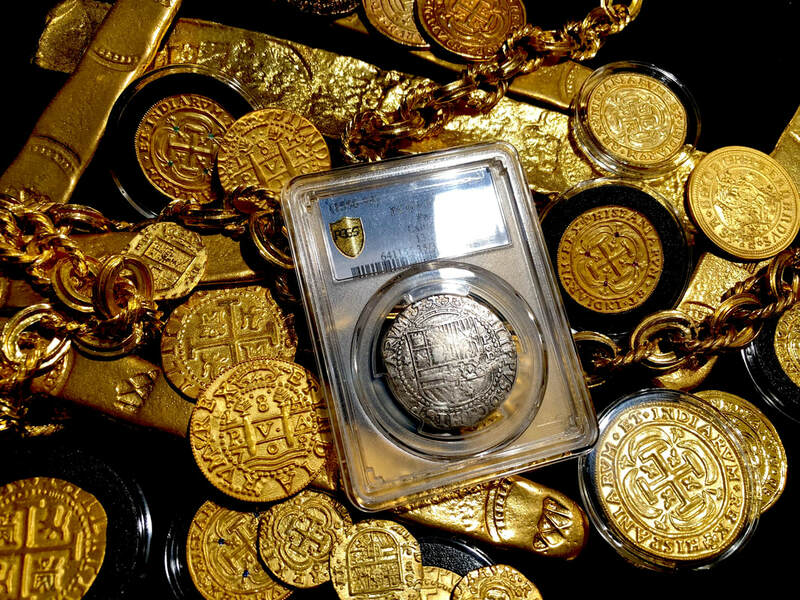 HISPANIRUM = Philipus, King of Spain by the grace of God. The Reverse legend displays: HISPANIRUM REX (king of Spain) ET IND (and the Indies). The Castles and Lions are fully displayed as well as the Tressure. 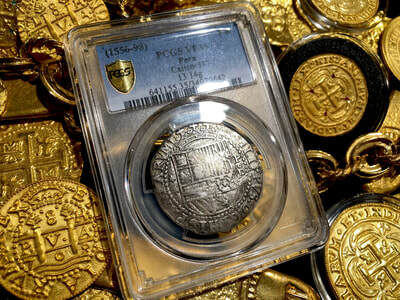 Just an outstanding example of a very rarely seen issue from almost 500 Years ago!